So I was looking in my brother’s room for our copy of The Lightning Thief because I wanted to reread all these series that I used to love, and I stumbled upon my copy of False Memory that I’ve been looking for since BEA 2012. I remember afterwards giving my brother a small stack of books he might enjoy but I meant for borrowing purposes – I stole it back and completely adored it. I’ve been hearing wonderful things for over a year about the twists and action contained in this book. It’s been pretty hyped up. So I was a little nervous about diving into it, but once I started reading, I couldn’t stop. It took me back to when I was in 6th grade and would start a book at ten for no reason and finish it at one because I didn’t want to wait to finish it. It was this weird nostalgia and I remembered getting this sucked into a book with The Lightning Thief and The Warrior Heir and all of these other excellent stories. When Miranda wakes up on a bench with only a few scraps of knowledge about herself, she immediately wants to know what happened to her memory. But when she freaks out and her panic leads to death and mass panic, there’s only one person that stays calm: Peter. Peter takes her to an underground complex and Miranda finds out that her past is riddled with secrets: she’s a part of the Roses, a group of four genetically engineered teens with the ability to broadcast emotions from their minds into the crowd. But two of the Roses are missing and they soon find out that something is devastatingly wrong. Miranda was such a character. I really enjoyed her sass but it was understated – it was a few of her remarks, not her entire being made up of sarcasm. It was a lot more realistic than some “fierce” characters but Miranda was fierce. She reminded me a lot of Tris from Divergent – she wouldn’t go out of her way to be confrontational unless it was really important, and had this quiet fire within her. I loved Miranda’s confusion about the morals and subtle way of easing into her past life. She immediately took risks and jumped into dangerous situations if she had someone to protect. She was (excuse my language) a badass, but also completely realistic at the same time. Her voice was compelling. Even losing her memory and the resulting confusion kept her levelheaded. She was already a wonderful character, but we really got a sense for her because she did everything without remembering who she was or knowing the entire story. That contributed to another, deeper level of bravery. Peter, Noah, and Olive balanced out the group well too. Peter was the friendly leader, clear and powerful, the one in charge who could also be disconnected because of that. Olive was the sweeter one. Noah was the one who had a mixed-up history with Miranda. It could be a bit confusing with the characters at times – it didn’t quite feel like we got to connect with more than Miranda and Peter that well because so much was plot and action that the sharp details that would usually make me connect with a character got buried under suspense and the impact of the scene itself. A concept underlying the story was identity. Each character struggled towards their own identities. Despite others’ reassurance that she was still who she was without the memories, I thought Miranda drove home a really important point. She was the raw version, but your memories make you who you are. It was truly fascinating to read her take on her identity and see how it changed through the book. I thought Dan Krokos did a near-flawless job of integrating character development into the story while keeping it fast-paced and tense throughout. Usually, amnesia storylines make me so irritated. It seems like an overused plot device that’s lazy, just to build up the backstory and have a shocking twist. Honestly, I’m getting really tired of it in YA. In False Memory, the amnesia was pulled off flawlessly, provoking questions of how the loss of her memory changed her and an ominous background. The romance on the story bordered on love-triangle but it wasn’t quite. The romance wasn’t a huge part of the book, but it enhanced the tension and electricity of the already-tense plot. Miranda had to choose between Peter and Noah and there was one point where she ACTUALLY had to choose that had me on the edge of my seat, but it wasn’t obnoxious love-triangle. She was torn between Peter – who she was developing feelings for, and Noah – who the “old Miranda” loved. There was so much going on in this and it kept going at a fast-paced, exciting pace. There was not one point where I put the book down. It’s intriguing and thought-provoking but still punctuated with enough action to be constantly going going going. It was very sci-fi but it wasn’t overwhelming. There were a few moments where I had to think through things and reread a past paragraph but it balanced together extremely well. The sci-fi shouldn’t really be a turnoff because for the most part, it’s more like an adventure and a furious countdown to mass hysteria. Every time I thought I knew what was going on, I was wrong. The idea of who the “villain” is constantly changes and the motives and chases are quickly moving. It was very clean – the idea is such a simple one but the complexity of everything surrounding the genetically modified teens was what really kept us intrigued. Well-detailed choreography of fight scenes, witty dialogue, likable characters that I rooted for throughout the book. It had a lot of elements that really made it fantastic. 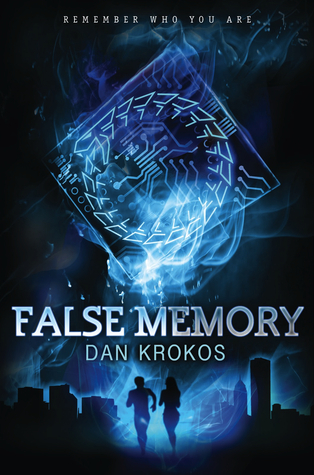 In the end, I thought False Memory was wrapped up well and chock full of my favorite elements in YA. The elements – action, suspense, sci-fi, romance – weren’t thrown in just for the sake of it, but to enhance a brilliantly plotted storyline with sharp wit and bold thrill. I definitely can’t wait to read the next one. Recommended for fans of: Divergent, The Maze Runner, Ender’s Game, Origin, Beta, Black City, reluctant readers. 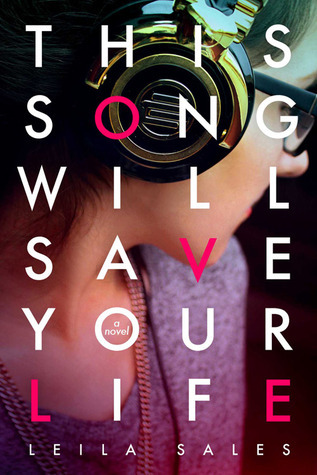 When Miranda loses her memory, she has trouble regaining her identity because so much of it is connected to her memories. How have your memories contributed to who you are? What traits do you think you would still have if you lost them?